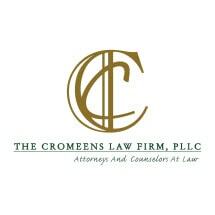 Founded in 2006, The Cromeens Law Firm, PLLC, is an established, full-service, Houston-based law firm serving clients across the state of Texas. With a concentration in business, construction and real estate law, our firm is committed to providing results-driven, cost-effective and personalized representation to each one our clients. Adhering to the highest standards of honesty and ethical behavior, our mission is to truly understand each client's unique needs and go beyond expectations to exceed those needs. You can count on our diverse team of highly experienced attorneys to use every tool at their disposal to protect your rights in any legal matter. We pride ourselves on our high level of personalized client service and proven track record for obtaining the best results possible on every case.